The move of Herefords Australia Ltd onto the new ILR2 software means that a new product is now available to all Hereford BREEDPLAN members. 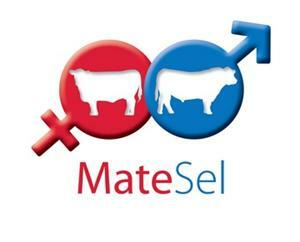 Known as MateSel, the new product will enable you to objectively optimise the mating allocations for your herd and take your breeding program to the next level. When utilising MateSel, you provide a MateSel Operator at BREEDPLAN with details regarding your breeding objective and breeding program, plus details of the bulls and females that are available for inclusion in the upcoming matings. The MateSel software then returns a detailed suggested mating list for your consideration, plus a report outlining a range of outcomes from the suggested matings such as the genetic gains that will be achieved and the level of inbreeding in the progeny. A flat fee of $165 (inc GST) applies to access a MateSel analysis for your herd, and results are returned promptly, usually within one working day. MateSel is only available to members of Breed Societies which are using ILR2 software and have at least one selection index. • Maximise the rate of genetic gain in your herd while managing inbreeding at the same time. • Include objectivity and proven science in your mating decisions. • Add significant value to your business by way of additional genetic gain and management of inbreeding to offset the cost of pedigree and performance recording. To learn more about MateSel, or to download the Excel template for submitting a list of candidate sires and dams,click here or contact Andrew Byrne at SBTS on 02 6773 3357 or via email at andrew@sbts.une.edu.au. Completed MateSel Excel templates can be emailed to matesel@breedplan.une.edu.au. Janet Poole has another interesting story in the magazine – article is titled “South of Capricorn Calling”, click here to load Janet’s article. Or click here to download the whole magazine – well worth it!